Brain Food, originally uploaded by heatherink. I'm working on writing a press release or five and I really need something to get my head going this morning. 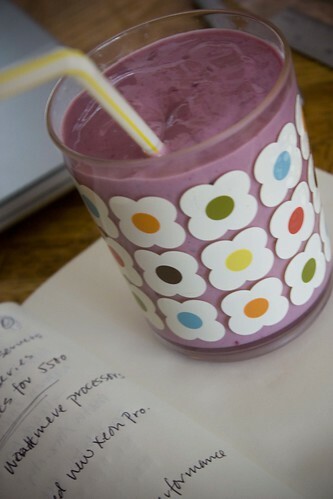 Enter blackberry and banana yogurt smoothie.